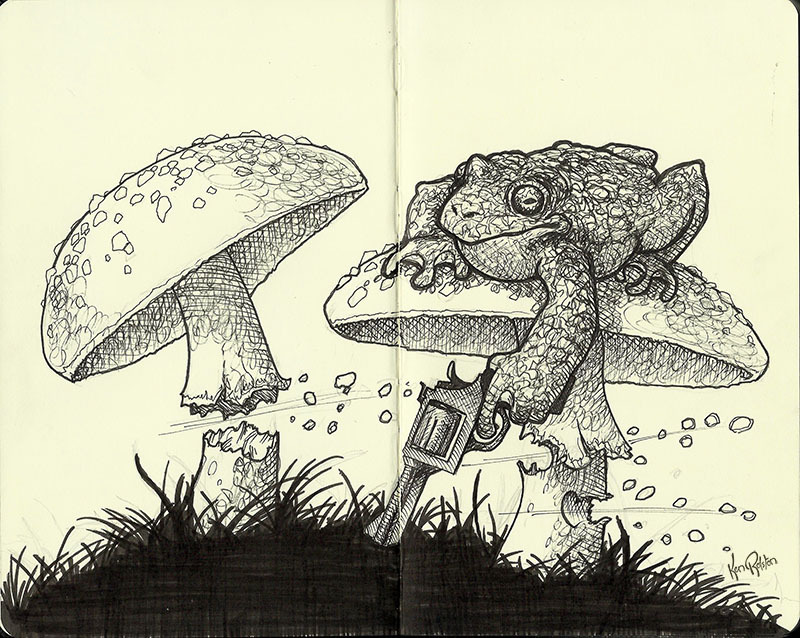 Day 16 – #inktober Toadstool showdown! Things are looking pretty hopeless for our hero the toad. He may have the highground, but he’s out numbered and out gunned, and almost out of ammo!